← Home Alone? At What Age Can Children Go Unsupervised? Long Realty is pleased to welcome Tucson native Rudy Carrillo as a new agent to the Casas Adobes Office at 6875 N. Oracle Rd. #125 in Tucson, Arizona. “Long Realty is the best real estate company in the Tucson market, and to be involved with a strong brand means giving customers the most in their home buying and selling experience. I have had the privilege of being part of the local real estate landscape for over 3 decades. I have had the good fortune to work in a business that I have a great passion for and it has allowed me the opportunity to impact people’s lives in a positive manner. I look forward to helping Tucsonans enjoy home ownership,” said Rudy Carrillo, Long Realty Agent. “Rudy has gained a large knowledge base about residential real estate from his experiences in Tucson, helping him thrive in his professional work. He finds out exactly what his clients are looking for in a home and doesn’t stop until he finds it,” said KC Woods, Long Realty Regional Manager of the Casas Adobes Office. Rudy is a native Tucsonan and has over 30 years of knowledge in the Tucson real estate market. Since earning his real estate license in 1979, he has held positions ranging from Sales to Executive Management for several local and national builders. He is happily married and is the father two children-a daughter who has received her degree from the University of Arizona and a son who is currently attending the U of A. He and his wife enjoy attending sporting events, wine tasting and socializing. He is involved with the American Heart Association and Youth on Their Own. Contact Rudy Carrillo at Rudy@RudyCarrillo.com or visit his website at www.RudyCarrillo.com. For more information about Long Realty, visit www.LongRealty.com. 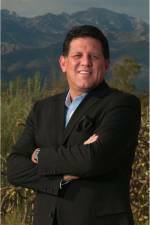 Share the post "Long Realty Welcomes Rudy Carrillo to Casas Adobes Office"